This is actually the last of this title run. From here they're moving on with their Rapture title, with Ninjak, Magpie/Shadowman, and Punk Mambo helping the geomancer in the Deadside. 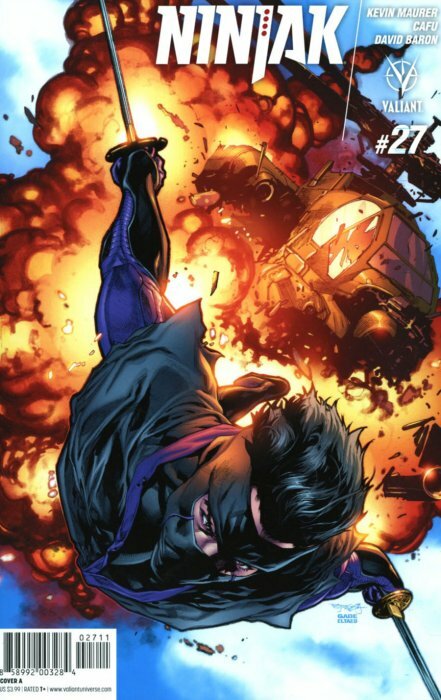 That will span four months during which there will be no regular Ninjak title, and then they return after Rapture with a new numbering system and title Ninja-K, which is where this new iteration got his name, the 11th of MI-6's ninja agents. Anyway, this is one helluva single issue. farewell or not. 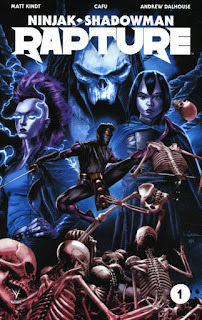 Ninjak ends up killing a scientist who has been busy with vivisection of some sort---splicing human DNA with other animals to varying degrees. Ninjak got the research, so killing the scientist was just a bonus. The main takeaway is that there's a secret government agency that is funding this research and its creation of human-hybrid-super-warriors. There are just too many risks in the world---magic, aliens, psiots---for regular humans to not do anything. Antonious Axia is back in the middle of everything again, only this time in Rome, as he's working for Nero specifically, and this time Nero is finally pushed to the brink. I'm sure our hero, and his lady-warrior-enemy/ally will survive the assault on the last page. Juan Jose Ryp's art is phenomenal, if a little busy, and Peter Milligan is doing his thing. Sometimes I think this title could be published by Image or IDW or Boom! 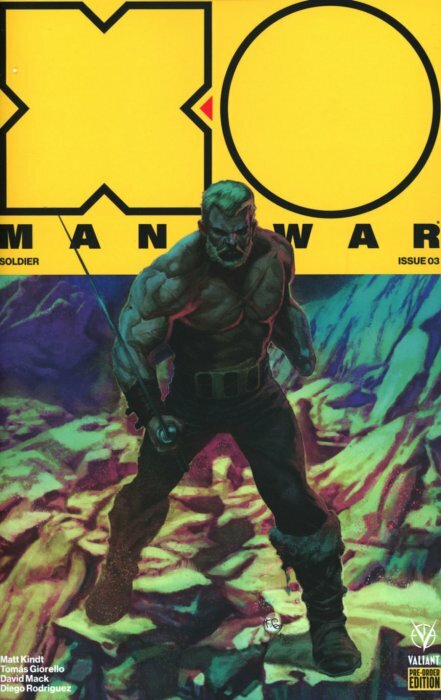 or Dark Horse...what makes it specifically have to be in the Valiant Universe? Is it the Vestal's Codex? Is that the same book hunted for in the Dr. Mirage series? Lush to look at, this pre-order edition has all the extras that I'll be missing with the other issues (since I missed the pre-order deadline). Also, I can't get enough of Matt Kindt. 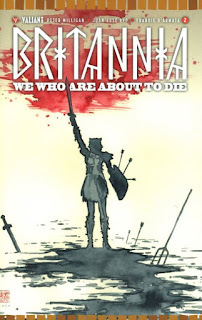 The art by Cafu is great and the story is multi-faceted like Kindt's best work. I wasn't really planning on getting this miniseries, but it was in my pull, and I'll definitely stick with it. Having read much of Kindt's work over the last few years, I can say that this issue reminds me more of his awesome multi-layered early Ninjak material than even the great new X-O series. The new X-O is awesome, but fairly straightforward. Obviously it's hard work creating an entire universe with dynamic and contentious civilizations, and the nuance of the multi-layered, more earth-bound stories, will return, I'm sure. The fact that Kindt has already created three contentious and dynamic civilizations in three issues is a testament to his skill. Rapture is going to be great when all chapters are in.